Are You Looking for a Powerful, Proven City Transformation Strategy? Operation Rolling Thunder provides just that! ORT is a 24/7 prayer transformation strategy. Operation Rolling Thunder is a 24/7 prayer transformation strategy that unites and mobilizes the city-wide body of Christ. Leaders and those passionate about transforming their communities, gather from the 7 spheres of society to develop local targets for prayer and action while using a simple yet effective tactic. Churches - Presbyterian to Pentecostal and from Charismatic to Catholic - unite as one body with a passion to see the gospel of our Lord Jesus Christ presented in power. As congregations strategically align with the National and Global Days of Prayer, power dramatically increases. But ORT does not stop there. It harnesses the momentum from these events and expands it into a long term transformational campaign. Empowering LOWPC to Intercede on Behalf of Human Trafficking! Mar 2014: Light of the World Prayer Center click here uses the ORT strategy to unite the body of Christ together to pray in power. Here's a testimony of how they collaborate with Engedi Refuge. Mar 2014: How ORT is helping his church build a wall of prayer.! A CONECTer is a leader who utilizes ORT to serve their church or community by facilitating 24/7 prayer and the formation of strategic councils. The image at left represents the 5 City Prayer Centers launched through ORT in 2008. Since then, we've seen a manifold increase, with 36 (9-16-13 update) prayer centers and over 43 (9-16-13) churches having been now planted on 3 continents! Leaders that have the vision are empowered by the catalytic mobilization that the ORT strategy provides. Once sons, many of these leaders have become fathers-in-the-Lord themselves to many more ministers of the Gospel, and the expansion of the gospel of the Kingdom continues! What's the difference between ORT & 1Church1Day? The only difference between ORT (Operation Rolling Thunder) and 1Church1Day is ORT is designed to be used to help leaders mobilize for the National Day of Prayer and the Global Day of Prayer. It connects the two events together through 24/7 prayer. The strategy, the principles are the results are the same. The only real difference is the name. But the name is powerful. 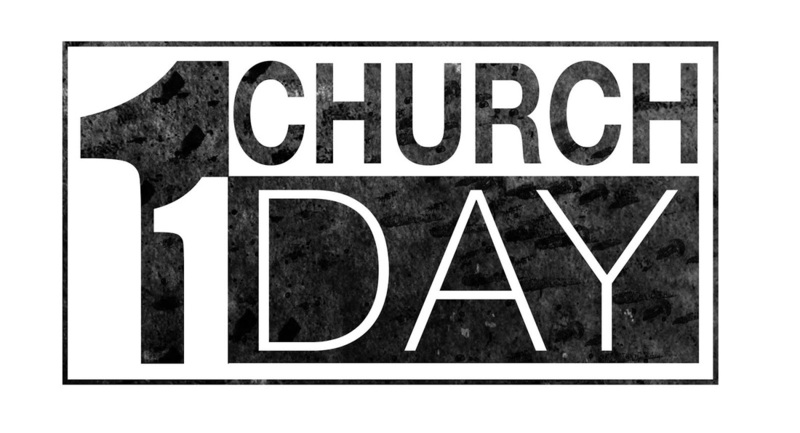 1Church1Day points to Jesus' prayer found in John 17 (that we would be one) and to the Day of the Lord. Oct 2013 - A young apostle began working with us in 2006. He oversaw one of the 1st five city prayer centers ORT played a role in helping launch in 2008. Light of the World Prayer Center was another click here. We visited them in Oct 2013. The report below captures our first look at MT Horeb Prayer Center on a mountain as well as documents some of the amazing results of the power of God's abiding presence. They attribute the change in their nations oppressive government to this strategy. 18 denominations are working together using this strategy to unite the Church to transform their nation. Mar 2014: Describes how this is Psalm 133:1 in action and how many communities in California and Houston desires to follow the pattern. Hear how AG, Reformed, Lutheran and Baptist are all working together, praying together in unity as one body. It's about more and more people being drawn into eternal life (6500). Do you wonder how ORT could be successfully launched in your area? See examples of how others with the passion to see God's abiding presence in their city have implemented the strategy. Diversity of location, denomination, and creativity only help to show God's own power. Click Here!